Expanding Your Horizons (EYH) is a conference dedicated to providing gateway experiences to middle and high school girls that spark interest in STEM (Science, Technology, Engineering, and Mathematics) activities and careers. In order to serve this mission, we hope to show conference participants that people like them are succeeding in STEM fields. For this purpose, we particularly value volunteers who identify as womxn, and come from a variety of life experiences and backgrounds, though all are welcome to volunteer. A huge thank you to all who volunteered at Expanding Your Horizons 2019! Our conference wouldn't be possible without our volunteers. This year's conference was held on Saturday, March 9. If you are interested in volunteering for the spring 2020 conference, please sign up to be on our volunteer email list. Questions? 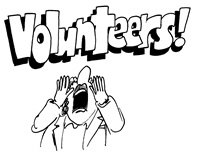 Contact us at eyh.ucb.volunteer@gmail.com.